Although renting property to tenants can be lucrative, it can also be stressful and at times, expensive. Eviction is one situation that can easily escalate, so it’s important to think things through before issuing a notice. Here are some questions you may want to ask yourself before evicting your tenant. Are You Legally Able to Pursue an Eviction? You may have a problem with your tenant, but not all issues provide you with the legal grounds for an eviction. 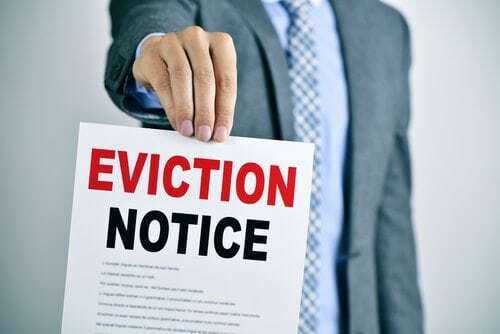 Breaking the law or non-payment of rent are typically reason enough to evict, but other issues like too much noise or not keeping the property clean may not give you the legal foundation you need to successfully pursue an eviction. What Evidence Do You Have Against Your Tenant? If you suspect that you do have legal grounds to evict your tenant, you’ll want to examine the evidence you have against them before proceeding. For example, simply smelling marijuana coming from the home may not be enough to prove that your tenant was engaging in illegal activity in the home, but a testimony from a repair company that they saw marijuana plants growing in the home may give you stronger legs to stand on. Does Your Tenant Have a Good Defense? Your tenants may have solid defenses. If, for example, you wish to evict due to the non-payment of rent, your tenant may allege that you did not perform appropriate and necessary repairs on the property. This can make it more difficult for you to collect rent and evict your tenant. Always try to consider what defense your tenant will come up with if you do decide to serve the notice. Do You Need Legal Support When Serving the Eviction Notice? If your tenant may act out or become violent when served with an eviction notice, it may be necessary to get law enforcement involved. At Piper Legal, we help Michigan landlords not only handle evictions when necessary, but we can screen prospective tenants and help landlords avoid renting to tenants who have a higher chance of being problematic or who have a poor rental history. We can help ease some of the burden of handling landlord/tenant matters, especially highly sensitive ones, allowing landlords to enjoy the perks and financial security of renting out property. Contact us today for a consultation to discuss your unique needs by calling (810) 235-2558.